Slightly different tail, 5.5" chord kfm3 wing 46" long. 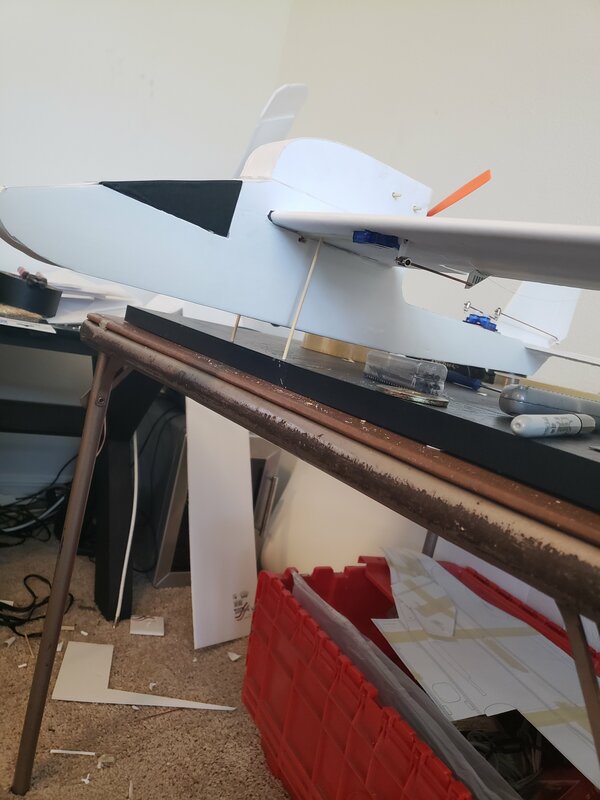 Just to make ailerons, powerpod, glob on some servos, and take her flying! Shes a close fit. 3/4" added to each side of the nacelle. 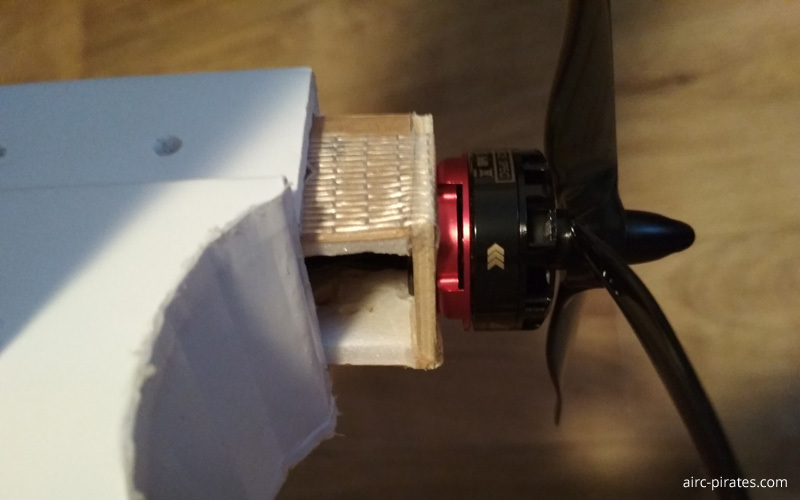 6045bn prop w 2306 2200kv gemfan motor. All up weight. 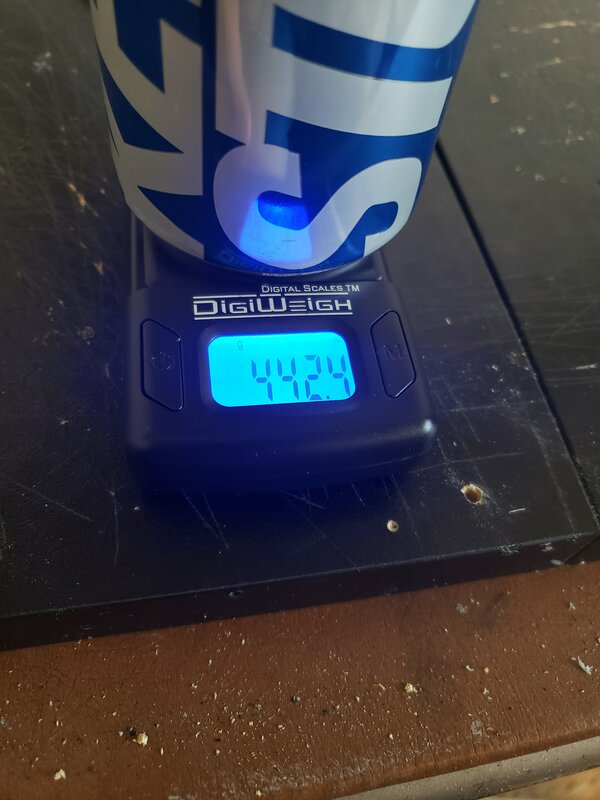 Zeroed with can on scale. Hope thats of use to yall designers! Are any of the Airc Pirates planning to attend Flite Fest Ohio in a few days? If so, I'd love to meet up with you! Unfortunately we will not be present at the Flite Fest. We wish all participants a lot of fun with their models and nice conversations with the attendees of the community! Here is a video of the 4s version. The sound is provided by a Lumenier 5x5x3 - Butter Cutter Propeller. 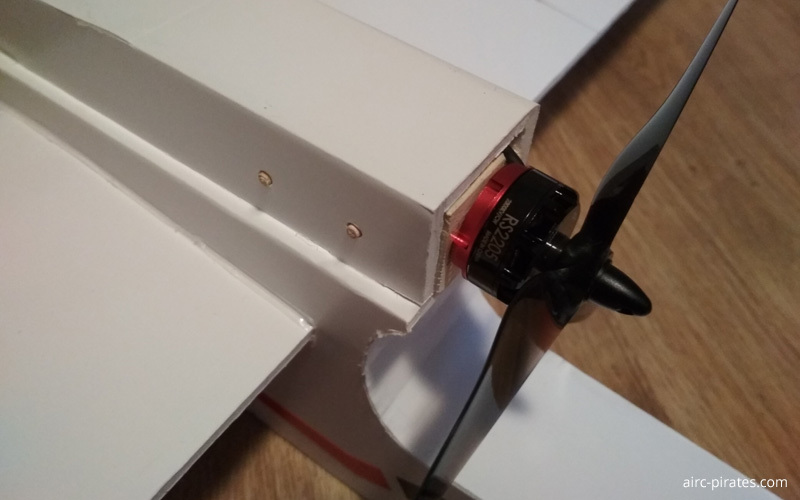 I just finished the build but I cannot seem to fit a standard ft mini power pod in the nacelle - am I doing something wrong? 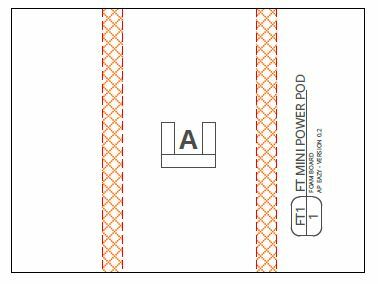 Please note that the FT Mini Power Pod is glued as an A-fold. Please insert the FT Mini Power Pod with the open side facing downwards into the Power Pod Nacelle so that the ESC can enter the fuselage. If it still doesn't fit, please post a photo of your Pod with dimensions (length, width and height). Would you guys recommend this for fpv? I'm gonna water proof and paint mine in the coming weeks. Is there anyway you can post the arcpirate logo here for me? I'd love to print it and add it to my painted eazy! It looks like it should be a good FPV plane, and watching the 4s video it looks like it can take quite a bit more stress than the Explorer. I always fly the Explorer as a scale GA airplane, for fear of folding it up. I might build one of these for the next step in my FPV career and start flying more aggressively. Speaking of the video, @AircPirateNinsei is that an earth-bermed metal Quonset hut beside your airstrip? I've heard it can be done, but there aren't many out there. Yeah. There's enough space in the Power Pod nacelle. 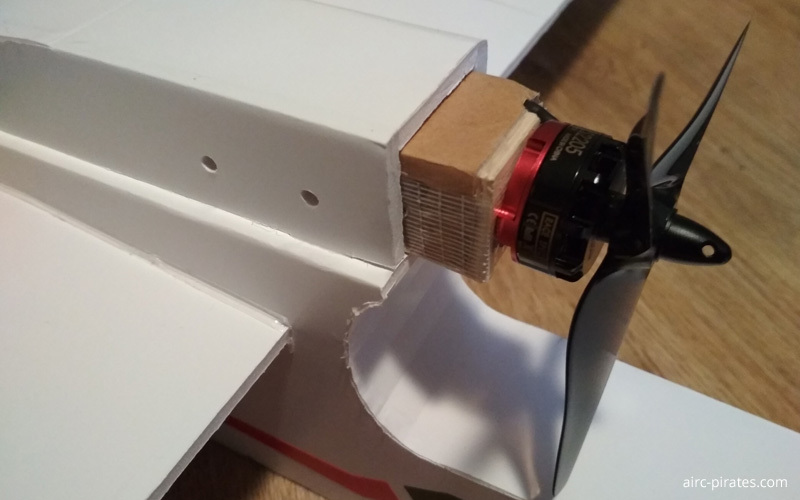 @seth has built an FPV setup into his Eazy - look here! Unfortunately we haven't equipped our Eazy with an FPV setup yet. ... Is there anyway you can post the arcpirate logo here for me? I'd love to print it and add it to my painted eazy! Gladly! Tomadai will make our logo available for download as png and svg file on our website this weekend. We would be very happy about some photos! 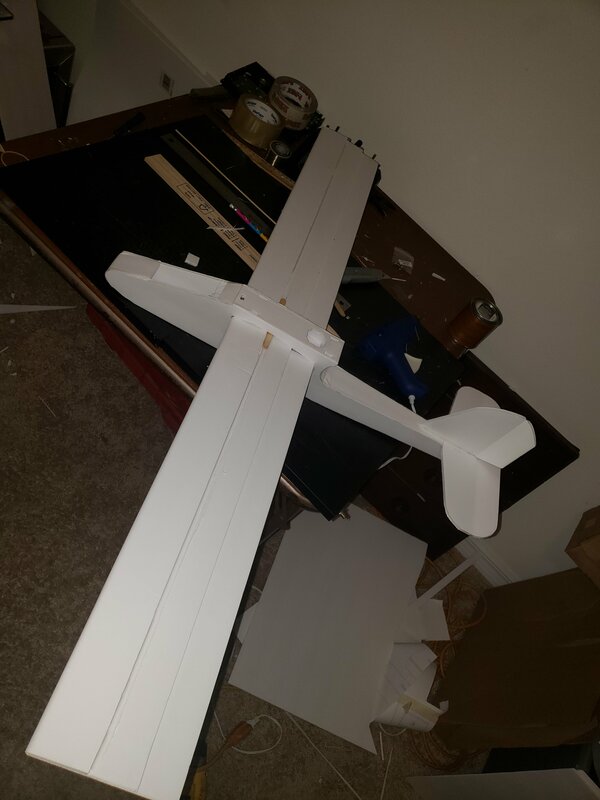 I reinforced the wing with a carbon tube, so nothing folds up! In the video you can see airplane hangars made of reinforced concrete, which were greened for camouflage. Koethen Airfield is an old military airfield of which there is not much left. During the Cold War, the western border of the Warsaw Pact states was monitored from Koethen and regularly flown between the Baltic Sea and Hungary. MiG-29 and Mi-24 were last stationed here, flight operations ended in May 1991. Now there are only a few ultra light aircraft, a Yak-52 and the local model flying club. As a child I saw MiG-21 Fishbed and MiG-29 Fulcrum landings. These airplanes were also in the hangars, which can be seen in the video. 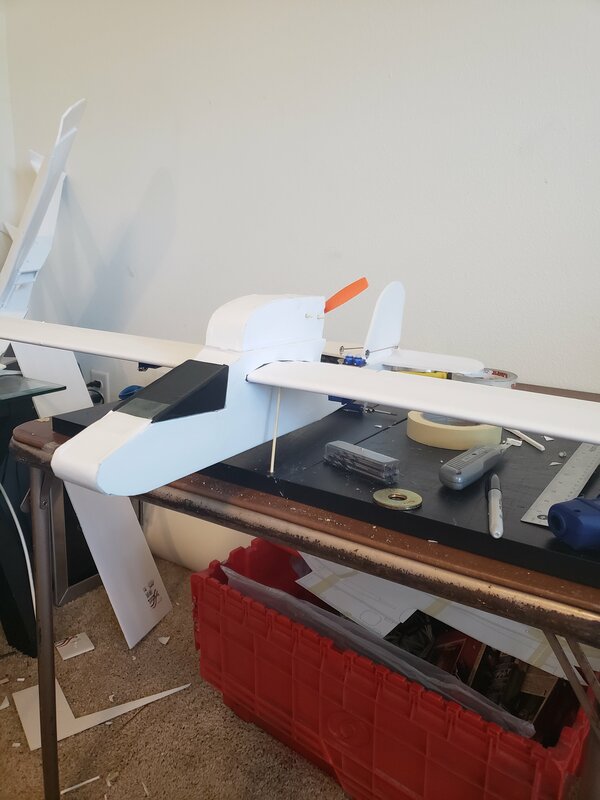 would this be a good beginner plane, flying slow...with a 1806 motor 2300kv 5030 prop and 2s 1500/1000 mah? 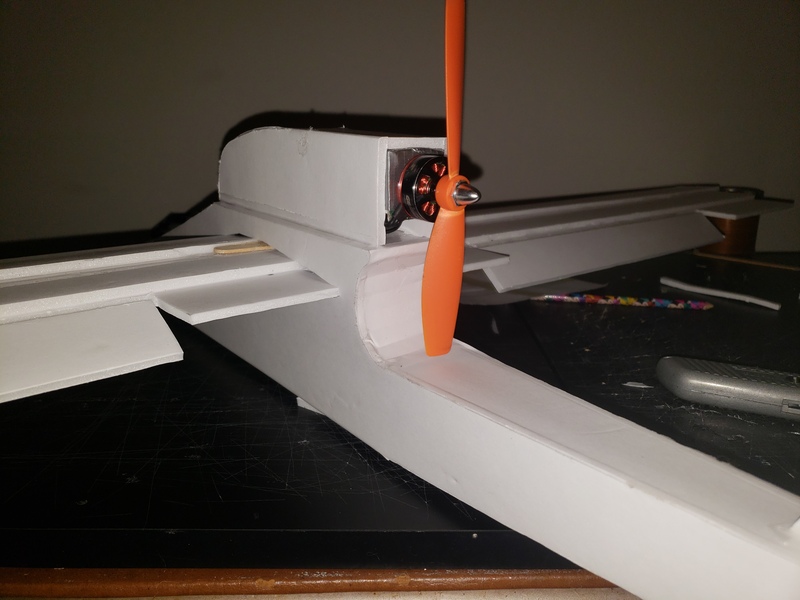 I haven't tried a 2s setup yet, but you should use a 6" propeller and the 6" power pod nacelle. If you don't need a polyhydral wing, you should have a lot of fun with the Eazy! If by beginner plane, you mean first plane, I would say no, it is a 4ch airplane which generally isn't great for a first plane. However it is a very docile ship, mine flew and tracked very well if you've mastered a 3ch bird this would be a good candidate for a 2nd or 3rd plane. You might want to try a 3s battery for a bit more punch. so are you saying dont use a poly wing? I though poly wings are good for beginners to help self adjust wings and fly slow?